Shalaka and squad’s poses make us smile at our screens! 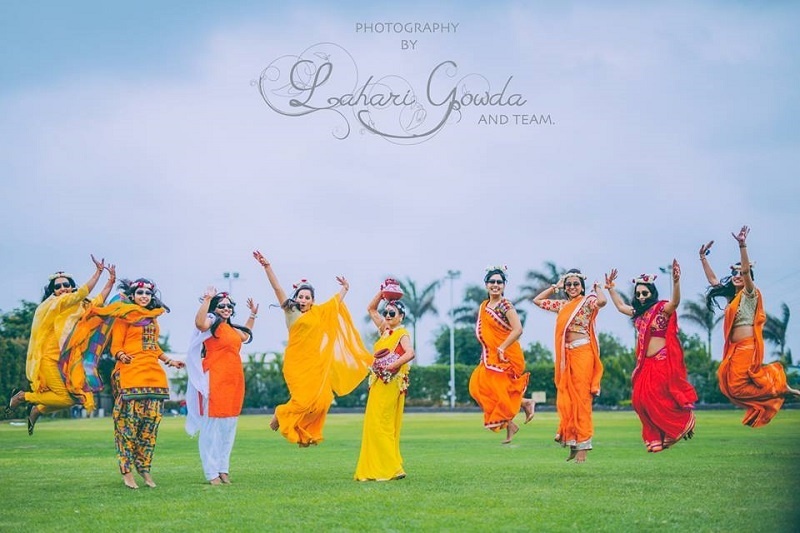 This bride-and-bridesmaids shot on the haldi day. We love this candid shot of Felicia and her bridesmaids group-hugging. Friendship goals! This bride soaking in all the love. Ashni’s bride-and-bridesmaids picture looks like some vogue shoot for a designer collection. Twirling bride, jumping bridesmaids. Kruti’s girls can’t contain their excitement! Deepali’s mehndi day was clearly had a lot of fun and sun. The smiles on Evelyn and her girlsquad are infectious! This bride chose her boy besties, but we’re still loving it.